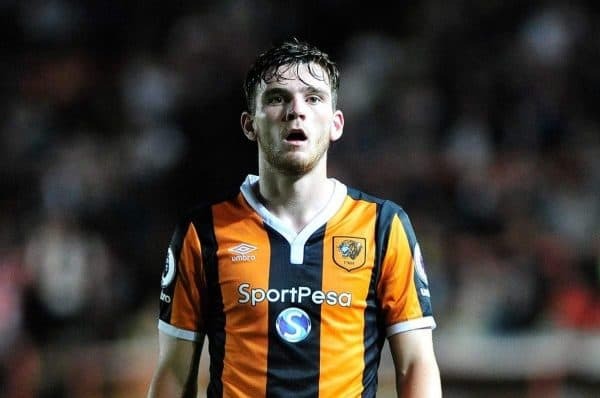 Reports on Thursday claim Liverpool remain interested in Hull City left-back Andy Robertson, as Jurgen Klopp looks to strengthen one of his weaker areas. This is a vital summer for the Reds, with Klopp aiming to build a squad capable of fighting for silverware in four different competitions. Left-back was an area that many fans felt was lacking last season, with James Milner struggling at times in a new role and Alberto Moreno generally deemed surplus to requirements. 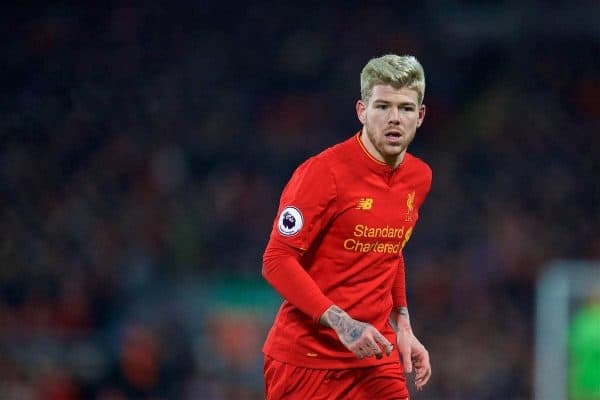 According to the Liverpool Echo‘s James Pearce, Robertson is “one of a number of options being considered,” with Moreno expected to leave this summer. The £8 million-rated Hull defender has been linked with a move to Anfield a number of times, and his impressive performances down the left flank were one of the more positive aspects of the Tigers’ doomed 2016/17 Premier League campaign. Pearce’s report states that Liverpool will bring in a replacement as soon as Moreno leaves, which is expected to be within the next couple of weeks. The Spaniard is not yet sold on the idea of leaving Merseyside this summer, but will assess his options when he returns to Melwood for pre-season training next week. Although Robertson wouldn’t exactly be a marquee signing, he fits the bill when it comes to a Klopp player, with the German monitoring his progress over the last two seasons. At 23, he is at an age where Klopp can take the left-back to the next level, and he would provide good competition for the divisive Milner. Signings of Robertson’s ilk have arrived and failed in the past, but Klopp’s record in the transfer markets suggests fans should at least be inclined to trust his judgment. He is not a manager who will necessarily buy big names, but is instead someone who turns players into household names—and that’s what Robertson would hope for from a move to Anfield.